In 2009, Oregon legislators created the Alcohol and Drug Policy Commission and gave it one job: create a plan for improving the state’s publicly funded substance abuse programs, then deliver that plan back to the Legislature. Nearly nine years later, the commission hasn’t even begun to write that plan. That’s why on Feb. 5, Rep. Tawna Sanchez (D-Portland) introduced House Bill 4137 to force the commission to do its job by setting a deadline for getting its plan on paper. 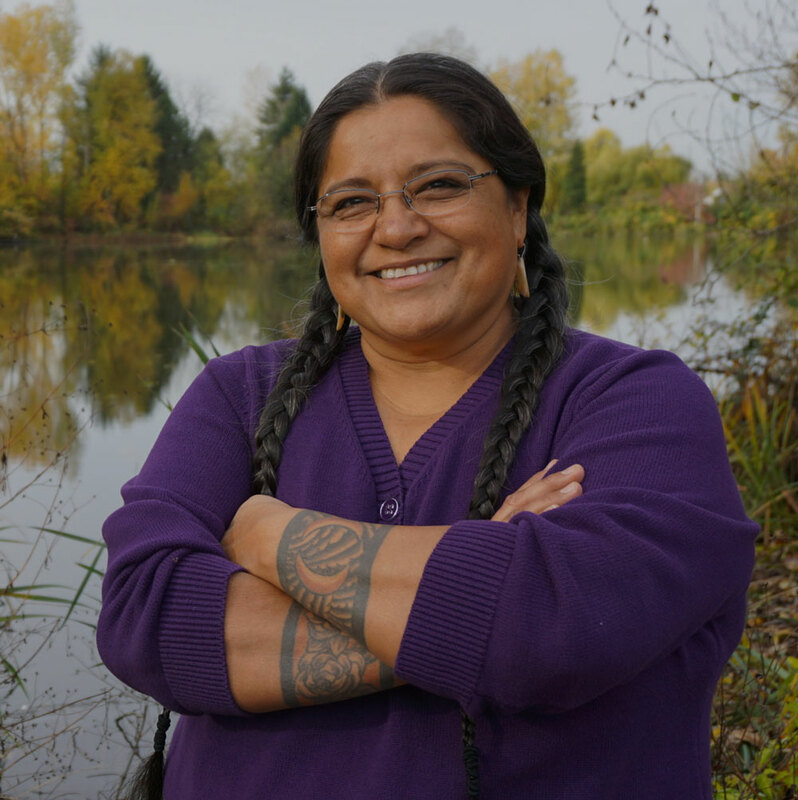 Tawna Sanchez was elected to the Oregon House of Representatives in District 43, North Portland. As of Feb. 13, Sanchez’s bill was in the process of undergoing amendments to require the commission to deliver a framework for its first plan to lawmakers by Sept. 15 and its first completed plan, written by an outside consulting group, by July 1, 2020. Originally, Sanchez's bill required the first plan due on Sept. 15 of this year. The news of the amendments came as Gov. Kate Brown announced she would sign an executive order that would also require the commission to complete a plan by a certain date, but her office has not yet released what that date will be. Only Sanchez's bill, however, would solidify the deadlines into state statute. The Alcohol and Drug Policy Commission, which has failed to meet quorum requirements repeatedly in recent years, is in the process of regrouping under the guidance of its new executive director, Rem Nivens, who took the helm in July. The commission also underwent changes in 2015 when the Legislature decided its 12 to 16 voting members should be governor-appointed stakeholders rather than agency heads. There must be eight voting members present to constitute a quorum. Multnomah County Circuit Court Judge Eric Bloch now chairs the commission as a non-voting member, and voting members include Lane Borg, executive director of Metropolitan Public Defenders; Washington County Sheriff Pat Garrett; Wasco County District Attorney Eric Nisley; Nate Gaoiran, director of Josephine County Community Corrections; and drug and alcohol treatment providers, nonprofit directors, a physician, a psychiatrist and people in recovery. Sanchez told Street Roots she recognizes that her bill would not give the commission much time to put together a comprehensive plan from scratch. But, she said, it will force the commission to “do something” this year. In advocating for the commission’s creation in 2009, Oregon’s then-attorney general, John Kroger, told the Legislature that drug and alcohol use was the primary driver of crime in the state. He said that while treatment programs could help people with substance abuse issues, there were problems with the overall framework in which those programs existed. Outcomes weren’t always tracked, there was little communication between state agencies, and too often there was no access to treatment for those seeking it. But, Kroger argued, if Oregon were able to improve and expand its drug and alcohol treatment and prevention programs, it would drastically reduce state spending on health care, law enforcement, corrections and child welfare in addition to lowering the crime rate. He said he believed this new commission could serve as “a powerful tool” in driving system-wide improvements. The idea behind the commission was simple: This new body of governor-appointed commissioners would build upon the work of its predecessor, the Governor’s Council on Alcohol and Drug Abuse Programs. That council had concluded its mission with the release of a 2008 report that claimed to serve as the most comprehensive look at Oregon’s addictions services to date. The report, “Oregon Speaks: Community Addiction Services Investment Strategy,” included tools for funding the expansion of treatment services and a seven-year plan for vastly improving access to treatment and evidence-based prevention programs across the state. It was a solid starting point for the new commission charged with creating pathways toward implementation. But in the years since, the commission has failed to make any progress. Meanwhile, the number of people in Oregon with a substance abuse disorder has increased from 258,000 in 2006 to more than 400,000 in 2017, according to data from the 2006 National Survey on Drug Use and Health compared with a recent report from the Oregon Substance Use Disorder Research Committee. This past year, a statewide coalition of people in recovery from substance dependency and their allies emerged with the goal of transforming Oregon’s alcohol and drug prevention, treatment and recovery services. It was this coalition, called Oregon Recovers, that brought the failure of Oregon’s Alcohol and Drug Policy Commission to the attention of Sanchez in the form of the bill she’s sponsoring in this year’s short session. Oregon Recovers sees the fulfillment of the Alcohol and Drug Policy Commission’s mission as an instrumental first step in improving Oregon’s drug and alcohol treatment systems. This is because the commission already has the authority to coordinate state agencies that are combatting addiction in isolation from each other, and it can serve as a single point of accountability for what is a multifaceted and complex system of programs and access points. Leadership at Oregon Recovers acknowledges the commission wasn’t given adequate tools for such a massive undertaking and has included provisions in the bill that would help the commission fulfill its obligation. While today the only paid position at the commission is its full-time director, the bill would give that director power to appoint paid employees of the commission, and the powers necessary to carry out the duties of the commission. The bill would also require Oregon Health Authority to deliver a report on the scope of substance abuse within the state – along with the availability of prevention, treatment and recovery services to residents – on Nov. 15 of each even-numbered year. Canode, along with former City Club of Portland director Mike Marshall, co-founded Oregon Recovers. Both men are in long-term recovery and hope to mobilize the thousands of other Oregonians who are in recovery into a constituency united on improving Oregon’s alcohol and drug programs. Addiction cost Oregonians $5.9 billion in 2006, the most recent year costs associated with addiction were estimated. This number includes costs from lost wages and health care to corrections and social welfare expenditures. Proponents of the bill argue that these costs dwarf the $1.8 billion budget gap that lawmakers have been struggling to fill. At its Jan. 25 meeting on the seventh floor of the Lincoln Building in downtown Portland, the Drug and Alcohol Policy Commission discussed how it should start the process of working on its mandated plan for improving substance abuse services by reviewing the now 10-year-old report from its predecessor. She told legislators that while she got plenty of hugs and sympathy during her search, she discovered Oregon has very few viable treatment options for adolescents. She said she ultimately liquidated all her assets, including her home, and used the money to send her son to a drug treatment program out of state, first in Georgia and then Arizona. Dr. Brad Anderson, chief of addiction medicine for Kaiser Permanente, also testified in support of the bill. He said he’s seeking immediate appointment to the Oregon Alcohol and Drug Policy Commission so he can work on the issue himself. He said Oregon needs to reduce barriers to treatments that work, such as medication assisted treatment, and establish a system that recognizes addiction as a chronic disease and provides an adequately funded continuum of care. She said she would like to see the commission come up with a preliminary report or strategic plan by this September, with the publication of a more complete and comprehensive statewide plan by Sept. 15 of 2019. This story was updated on Feb. 14, before its online publication.